On April 19, 2018, the Canadian Urban Institute hosted a free LSNetwork webinar to help municipalities navigate the full potential of connected technology by exploring the benefits of developing a comprehensive smart city master plan. This is a proactive process for municipalities to identify their specific needs, unite stakeholders and outline a roadmap to achieve effective and beneficial deployment of these solutions. In February 2018, the LSNetwork hosted a webinar on the City of London's smart streetlighting initiatives. Using data and connected technology, the City of London has initiated many ambitious and forward-thinking projects, including the current deployment of 12,000 smart LED streetlights. The smart lights will help the City achieve its energy saving goals, reduce operational costs while improving service reliability and laying the foundations for future IoT aspirations. The webinar presents this successful case study, with speakers from the City of London, urbancontrol and Itron. 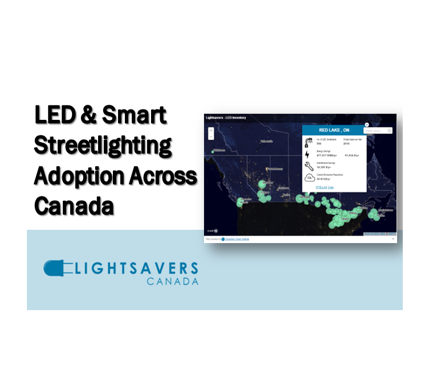 LSNetwork presented a three-part lunchtime webinar series to share our newly developed resources on the evolution of LED streetlighting across Canada and discuss how these networks are becoming the backbone for intelligent communities. We were joined by experts in lighting technology, sustainable infrastructure and energy and cost conservation who will share their reflections on these emerging technologies and the demonstrated results of related case examples. The PDF presentations are linked below.